As a student at Karls I know that my feedback is always taken into consideration and that all stakeholders work cooperatively to reach new goals and improve, whether in the academic field or by organizing more evenings to bring the Karls community closer together. Nonetheless, during our 2018 winter semester, Karlshochschule took the matters of gathering feedback from students to a whole new level. The university gathered 30 university and exchange students and gave them a task: to pinpoint the areas where the university could improve in order to become an even better learning environment. The result: three hundred diverse ideas for growth, ranging from improving the infrastructure, adding a physical space for the representation of the Student Organization, to opening a counselor position at the university and more… a lot more. 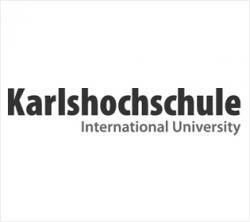 The group of students, who later became known as the Tribergers, are still working amongst themselves and with the presiding committee and other stakeholders at Karlshochschule towards the improvement of the learning environment. All students are also welcome to join in the task force and provide their own feedback. Due to today’s rapidly changing world, the development of higher education lays in the hands of the students. Therefore, it is crucial that students’ opinions are taken into account when discussions regarding their education are brought to the table. Giving students the chance to voice their opinions is the key to understanding not only their ever-changing needs but also where the future of education is leading all of us. So when I rhetorically ask you, ‘what happens when you give students an opportunity to work together to improve their university?’ I am actually encouraging you to either be the university gathering students for its own betterment, or be the students who want to help enhance their and others university experience. Nevertheless, if you’re still doubting the importance of peer feedback, I invite you to read The Importance of Feedback, and to watch our video of how the weekend in Triberg unfolded.